Summer of Sonic 2010 to feature playable Sonic 4 and Sonic Colours. Registration Open. Like this, but with more England. It’s that time again, and were I not at BIGJam that weekend, I’d actually be tempted to attend. 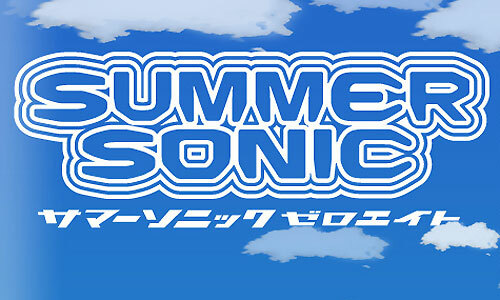 August 7th will be this year’s Summer of Sonic convention in London, and the advanced registration page is now open for anyone interested in going. You will be able to get a ticket at the door, but only an hour after the advanced attendees have been permitted entry. It’ll also speed up the whole process when you get there anyway, so more opportunity to enjoy what’s inside. Now, what actually -is- inside I have no idea. The page for ‘Activities’ doesn’t actually seem to be a clickable link on the website so, I’ll leave that you your imagination. Last year apparently featured a Q&A with Sonic the Comic writers (Nigel Kitching!) and Sumo Digital who had been working on Sonic All-stars Racing at the time. Confirmed this year though are playable builds of Sonic 4 and the Wii version of Sonic Colours, as well as a performance by Crush 40, the guys responsible for the best and worst of the current Sonic era’s soundtrack. So if that sounds like your kind of thing, it may just be worth attending for the playable builds alone. You’re also not trapped there for the entire day, if you’re worried about feeling terribly out of place. Whoever you are there looks to be at least something there worth the trip if you’re free. Be sure to let us know how it is if you go!